Simplestream, operator of the popular TVPlayer streaming service has announced it has secured substantial funding from private equity group Beringea to help finance an accelerated expansion of the TVPlayer service. The additional funding will facilitate the addition of more channel packs and multi-channel catch-up functionality. TVPlayer currently provides more than 45 free-to-air channels via its website www.tvplayer.com or mobile and tablet apps from Apple, Google (Android) or Amazon. It is formal agreements to stream a growing number of Freeview and Freesat channels, including 4Music, Heart, Food Network, Travel Channel, FashionTV, Colors, Rishtey, Al Jazeera and Euronews. 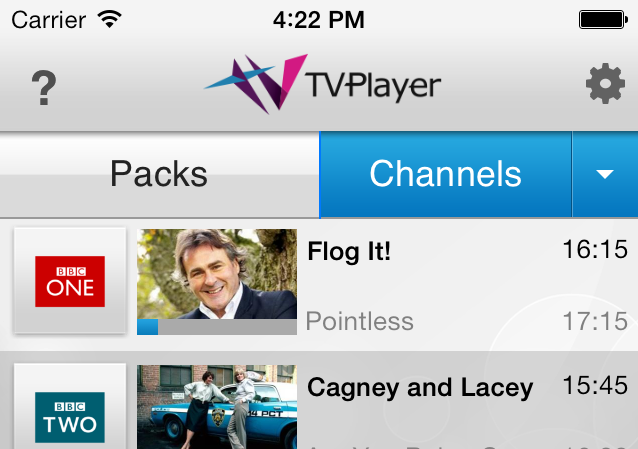 Since the app first launched, TVPlayer has been downloaded almost one million times in the UK. In September TVPlayer launched on Freeview channel 241, bringing 16 new channels to internet connected Freeview HD TVs. The service is one of the few online platforms participating in BARB’s Project Dovetail, allowing TVPlayer’s viewing figures to be included within a channel’s official audience ranking. Are they going to make it work on more than about six tellies? There's more than 6 TVs that can handle TVPlayer on Freeview (http://www.tvplayer.com/compatibility), however it's clear that most older Freeview HD receivers will not be upgraded to handle the services - that's a manufacturer's decision*, not the decision of Synapse TV who provide the service on Freeview channel 241 on behalf of Simplestream. *in many cases, it simply isn't as easy as sending a software upgrade to make the service work on older Freeview HD devices. Before this service launched on my LG free view HD smart TV I had Internet channels broadcasting and working but since this came along they all seem to be gone except for all the crappy dating and adult channels. Luckily for me i don't have to rely on freeview as I have Virgin Media. They have gone - see main news item on the site.